Sell my car in Christchurch, Canterbury using used car guys team! Get the premier cash for cars in Christchurch, Canterbury – South Island. Sell your old, Unwanted, Accidental, Used and second hand cars at great prices. Just give us a FREE call at 0800 909 070. With over 20 years of experience as a Used Car Buyer NZ, we have brought together the most experienced team for selling and buying the used vehicles. Sell car quick with us. Looking for the old car buyer’s price guide? Why wasting time when we can help you to fetch the same records for you? 20+ years of experience in selling vehicles. Used Car Buyers Online Services. Local, professional and NZ owned business owners and Used Car Guys. Paying maximum cash for used cars guaranteed. Free Auto Removal – Pickup from anywhere around Christchurch. Buying all car’s make, model and brand. Free Cash estimation for your vehicle – no obligation. We take care the paperwork on your behalf. At Used Car Dealers Christchurch – We buy vehicles for all major brands, make and models. You can get the stack of cash for Toyota, Honda, Holden, Suzuki, Chrysler, Land Rover, Hino, Mazda, Fuso, Mitsubishi, Mercedes Benz, Hyundai, Fiat, Subaru, BMW, Peugeot, Ford, Kia, Nissan, Jeep, Volkswagen, Volvo and Ssangyong cars etc. Check out our Cash for Cars Auckland page for more information. We offer our outstanding Auto Selling services throughout the Christchurch. Get the top cash for cars in Waikari, Waiau, Rolleston, Woodend, Lincoln, Rangiora, Culverden, Akaroa, Springston, Cust, Cheviot, Darfield, Ohapuku, Leeston, Amberley, Oxford, Sefton, Kaikoura, Hawarden, Leithfield, Waipara and Hanmer Springs etc. Still speculating, how much is my car worth? Wondering, how to sell my old or used car? Fill up one of the free quotation form on our website and one of our crew members will sort it out for you. 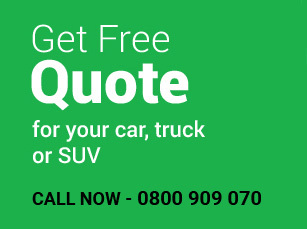 Give you the instant quote online or on the phone. Please make sure that you should have the Vehicle registration number of engine’s chassis number handy that would help a lot to find the auto details. 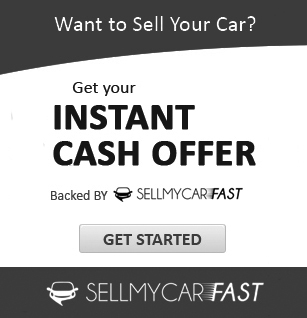 Give us a FREE call at 0800 909 070 and ask for – Sell my car for cash now!